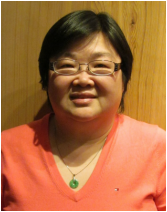 Netty Tam is the Manager of Business Development for the Chilliwack Economic Partners Corporation (CEPCO), the economic development organization for the City of Chilliwack. With over 20 years of direct experience, Netty brings a wealth of expertise in the economic development and downtown revitalization field. She has a Bachelor of Arts from the University of British of Columbia and a Master of Environmental Design – Planning Degree from the University of Calgary. Her areas of proficiency are in strategic planning, policy development, economic development, and downtown revitalization. Netty has been a member of the Rotary Club in New Westminster and Chilliwack. Currently she sits on the Chilliwack Social Research and Planning Council. Netty is currently the SCF Secretary/Treasurer.